Your diet may be the key to your cellular health and vitality.Dr. 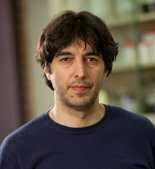 Valter Longo finds the fasting-mimicking diet can eliminate damaged cells and prompt healthy cell creation in mice. This longevity diet may prove helpful for human healing. With so many diets out there, it’s easy to get confused about what would best lend itself to longevity, Dr. Longo supports a vegan diet with fish added. A diet high in animal fat lends itself to increased mortality. Dr. Longo recommends eating two meals plus one snack per day instead of three meals for weight loss. Breakfast and lunch or dinner are advised. The snack should be about 200 calories, preferably a salad. Teami Tea brings you the highest quality, most effective, all-natural loose leaf teas right to your doorstep. Remove toxins from your body that may be slowing you down. Click here to save 15% on your entire order at Teamiblends.com using code WHOLEHEALTH at checkout.